Your front door is the first thing visitors notice about your home, and it needs to be stylish, welcoming and high performance. Combining all the best of function and form, our range of front doors can be installed to complement both modern or traditional properties. All of this is achievable with front doors in Clacton-on-Sea from Discount Windows and Conservatories. Our incredible doors will transform the entrance to your home, enhancing your property’s kerb appeal. They are sure to be a beautiful addition to any home. Our front doors are high quality and long-lasting, making them a cost-effective option for your home improvements. We have fantastic options on offer to enhance your home in Clacton-on-Sea. Benefit from outstanding quality, professional workmanship and competitive prices today. 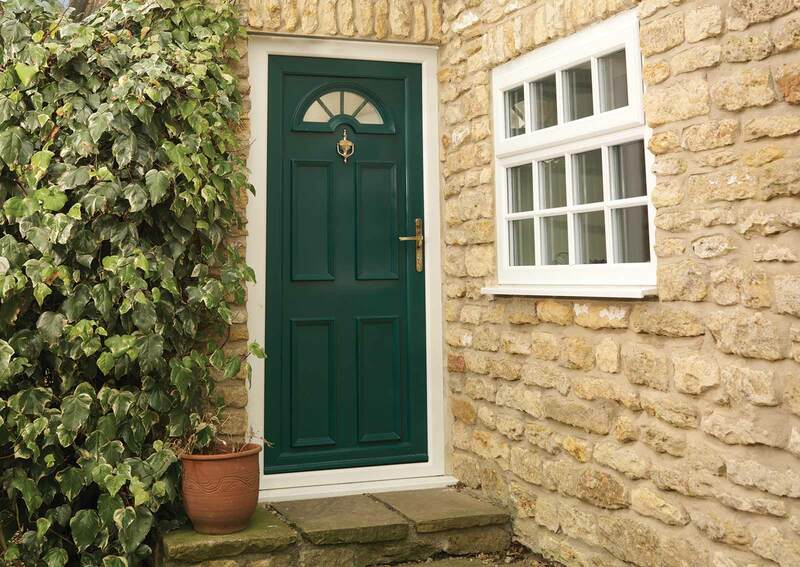 Our first choice for your new front door comes from our uPVC doors collection. These beautiful doors are light, quick to install and offer high-performance, keeping your home secure and warm. They are also available in a wide selection of high quality, highly durable colours that promise to keep their fullness and richness for many years. If security is your priority, then our uPVC doors are the ideal solution. These entrances from the Deceuninck Traditional 2500 collection feature patented Glass Fibre Linktrusion, which helps them to provide the very best security possible. They are even capable of Secured by Design accreditation, meaning they can achieve stringent standards of security. As for thermal performance, our Deceuninck doors are fantastic, offering a certified A* CERTASS level of energy efficiency to keep your home warm and cosy on even the coldest of days, saving you money on your heating costs. These high end double glazed doors will completely transform your home. We also work with SynSeal to provide Clacton-on-Sea homeowners with a range of front doors that offer cost effective performance. Much like our other uPVC doors, this range also achieves Secured by Design status and is A-rated for energy efficiency. However, they are more affordable, providing an option for any home improvements budget. Our SynSeal front doors come in a selection of rich colours, adding charm and style to your home. There is also a range of door furniture available to complete the look. If you are looking for a replacement for your timber front door, our composite front doors are the perfect option. These stunning doors offer all the beauty and tradition of wooden doors, coupled with the innovation and technology of uPVC. DoorStop composite doors are constructed from a solid core with a glass reinforced plastic overlay. The results are beautiful, and with a hard wearing finish, which makes these doors capable of withstanding any physical attack. Our front doors are available in a range of traditional and modern designs, each one can be tailored with colours to complement your property and reflect your individuality. There is a range of glazing styles as well as a fantastic choice of hardware options and accessories. When it comes to security, nothing matches the strength and solidity of composite front doors and coupled with our state of the art locking mechanisms, you can count on unrivalled protection for your home and family. 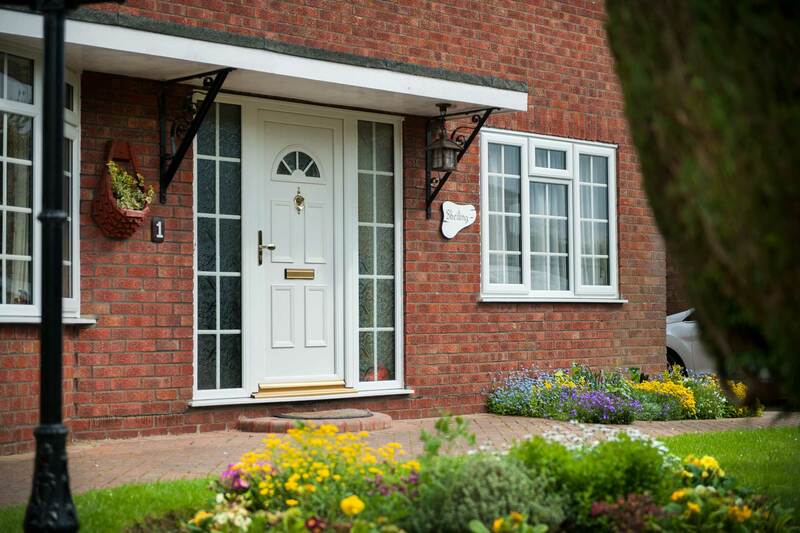 Composite front doors are fantastic for insulation, blocking out the cold as well as noise pollution. The structure is ideal for creating a warmer and quieter home, where you can relax in peace and comfort. They will last for years to come too, never warping, rotting or fading – keeping their stunning appearance no matter what the weather throws at them. One of the major benefits is that your composite doors require none of the costly and time-consuming maintenance usual of wooden doors. The options and features to choose from can put your mind in disarray and take up a lot of valuable free time. At Discount Windows and Conservatories, we offer easy options to find your ideal door. Our innovative quoting engine lets you pick and choose from all the options available and create your dream front door. We offer competitive prices on front doors for your home and your budget. If you prefer, you can also contact us, and our team will provide you with guidance to find the exact front door for your Clacton-on-Sea Home. Competitively priced, high quality double glazing near you and throughout Clacton-on-Sea, Colchester, Frinton, Harwich, Walton-on-the-Naze, Kirby, Wivenhoe, Tendring Peninsula and surrounding areas.